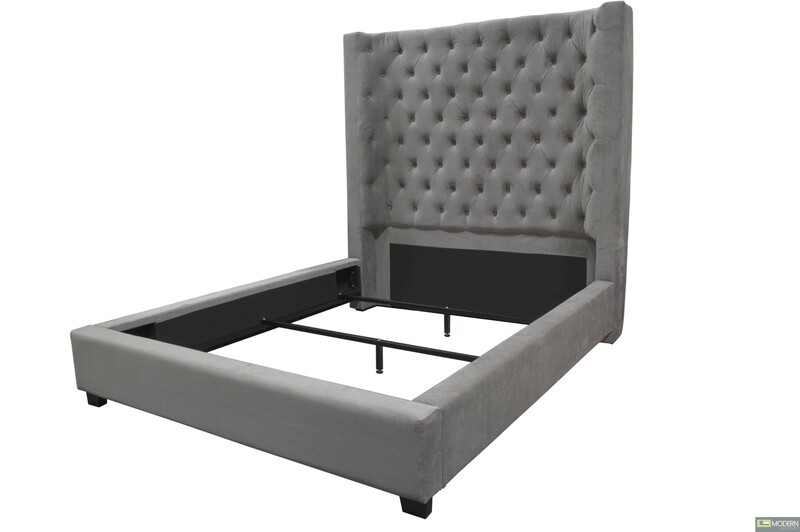 This tower high profile bed is upholstered in velvet fabric with a curved back and tufted look to give it more dimension. It is constructed in solid and manufactured wood which is highly supportive and durable for a lifetime. 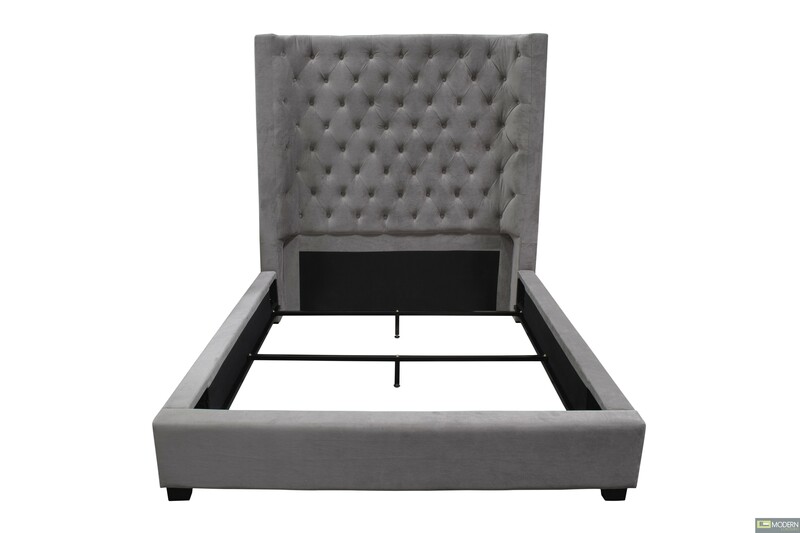 This bed will look perfect in a master suite and can be easily match with any mirrored or modern furniture in your bedroom. A box spring/ foundation is required for this bed. 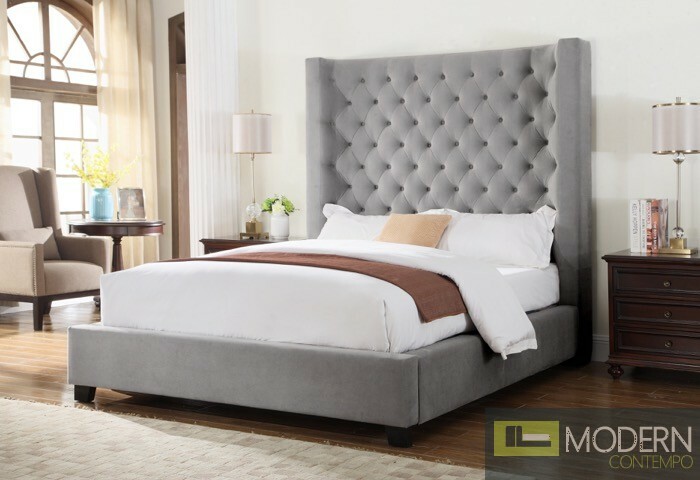 Eastern King Bed Dimensions 90" x 86" x 72"
Cal. 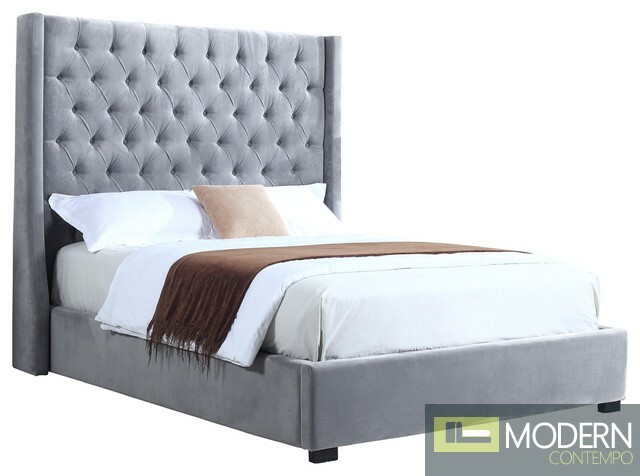 King Bed Dimensions 94" x 82" x 72"
Queen Bed Dimensions 90" x 70" x 72"
Eastern King Box Dimensions 88" x 77" x 12"
Cal. King Box Dimensions 84" x 84" x 12"